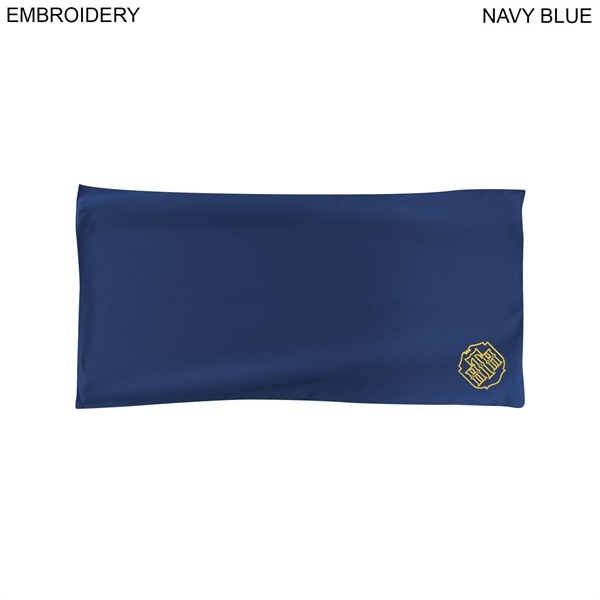 Imprint Method: Embroidered - Microfiber Terry towels are soft and absorbent. Big platform for logos and large format decoration. Made from Microfiber Polyester fabric. Price includes embroidery up to 8000 stitches, 1 location. Max Imprint: 5" x 5"L. Usage: Beach promotions, gym promotions, parties, corporate gifts, hotels, spas. Size: 40 " x 20 "
Price Includes: Up to 8000 stitches.